We first saw Taito’s new Space Invader’s based redemption game at the Park Avenue Open Day in the UK a short time ago and now it has been seen on location at the Funland in the Trocadero, London. Thanks to Patrick from Sega for sending us this short video of the game, it should be interesting to see how this takes off as we first saw Sea Wolf be remade into a redemption game and now this. industry. 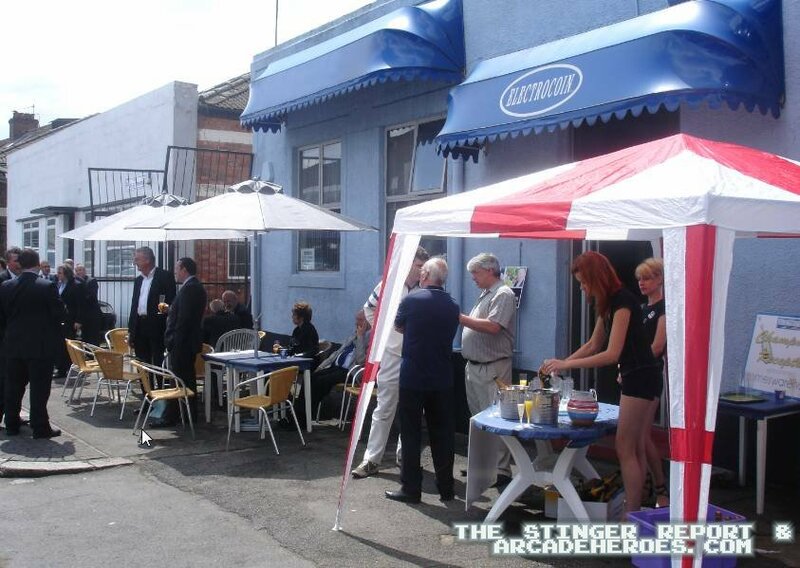 Here is Electrocoin’s (a UK distributor) outside booth. (On all images, click on them to see the full size). Inside is where it gets interesting however. 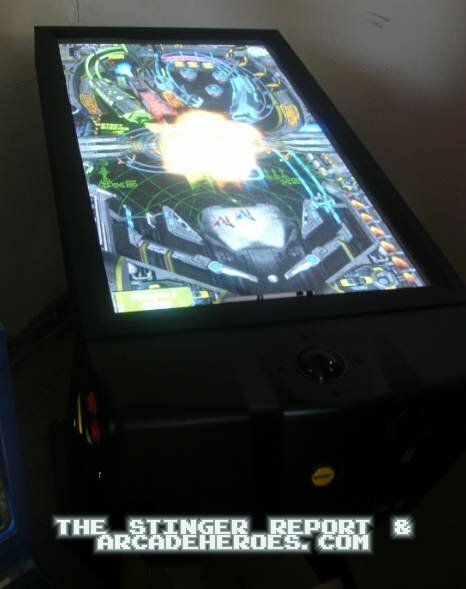 First off is a new sci-fi themed table for the Virtual Pinball system by TAB Austria. I believe that one distributor in the US carries these and the nice thing about the system is the fact that you can install new table themes. 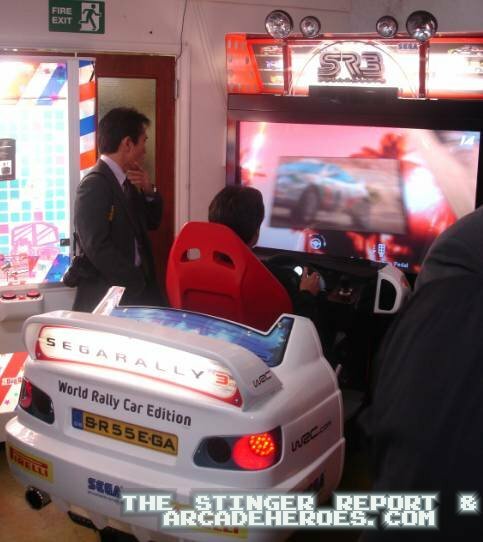 Electrocoin also had Sega Rally 3 on hand (in the picture below it is being enjoyed by the guys at Taito) and it was revealed what the price tag would be for the motion deluxe version of the game (operators might need to brace for a shock): a mere £15,000 ($25,000). Not entirely surprising considering the quality of the game but it still can get to you when you see these high prices. We’ll have to see how much the standard edition goes for. 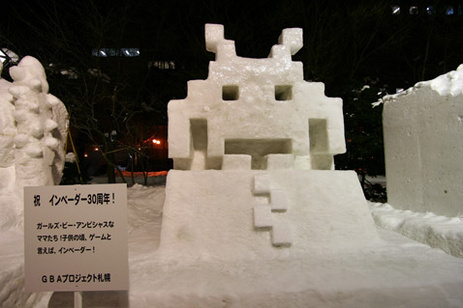 There’s a lot more to come so I am going to fit it in after the break, hit the link below for a look at a few other new games including a brand new Space Invaders game for arcades by Taito!